Economic Offences Wing (EOW) along with the Brihanmumbai Municipal Corporation (BMC) have arrested five doctors based in Borrivali and Malad areas of Mumbai on alleged charges of being quacks. They are currently in the custody of their respective police stations, until further investigations are carried out. 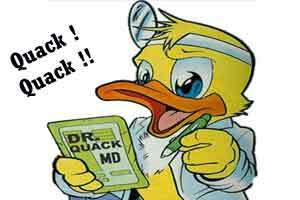 EOW arrested the five quack doctors on a tip from BMC. These doctors apparently ran a private clinic in the respective areas, without holding a proper license to run a private practice. As alleged, they do not have a degree, and are not even registered with the Maharashtra medical council. As evidence, their clinic premise was raided and documents have been seized. As further reported by the Asian Age, the accused are identified as Shivdhni Bansu Saroj, Harikesh Bhagvan Vishvakarma and Ram Akhpal Yadav. All three allegedly ran private clinics in Ganpat Patilnagar on link road in Borivali west. The other two accused, Raghunath Pulin Adhikari and Mulchand Manulal Shrivarte, were running private clinics in Kurar village in Malad (east), the police said. The teams conducted the raid and arrests simultaneously. Incriminating documents were seized and the case was handed over to local police. Officials from the revenue department were roped in during the raids and panchnama at the clinics so they could stand as panchas. A total of five FIR have been registered against them under sections 420 (Cheating and dishonestly inducing delivery of property) and 419 (Punishment for cheating by personation) of the Indian Penal Code and under sections 33 and 36 of the Maharashtra Medical Practitioners Act 1961 which talk about registration of a doctor.